It is amazing whenever my nail art designs receives appreciation, in any form. It humbles me as a nail artist to have my work recognized knowing that I am just one from a pool of creative nail art enthusiasts here in the Philippines and all over the world. A new television program -- Design Para Sa Lahat -- will be airing a short segment of my nail art and I this weekend. I am inviting everyone to watch the show as I thank you for your support. I am extending the invitation to my international friends as the program airs internationally as well. 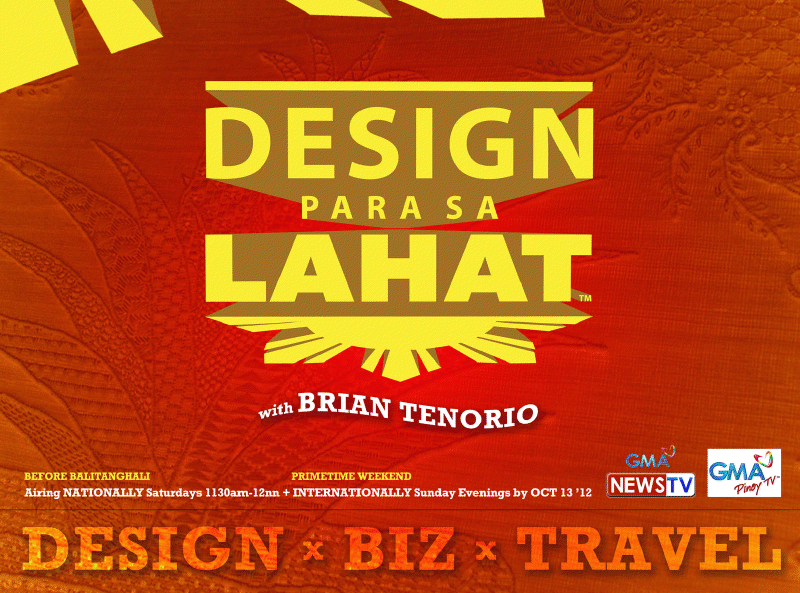 Design Para Sa Lahat is the FIRST and ONLY television show about design, style, travel, and entrepreneurship here in the Philippines. Its objective is to feature designs by Filipinos and help inspire people to realize their designer dreams and setup their business out of it. Designer host, Brian Tenorio takes us around design destinations in the country for this. I made sure my feature was recorded in English to make sure many of you can understand what I was saying. I'll try to record and upload the feature here when I get the chance. I apologize to my Filipino friends who gave their time to catch me on television this morning. My feature did not air. I was later informed by the production manager of Design Para Sa Lahat that my segment would ONLY be aired internationally. I didn't bother to ask why. It was disappointing at all levels and I was dismayed that I was NOT informed about it in the beginning. This is not the first time that this television network -- GMA -- let me down. It is saddening. To my international friends, I am NOT sure if the segment would air on your feed. But I was told that it would. I don't want to waste your time either if it doesn't. I'll upload the vlog on my blog instead to let you all know my view on nail art and its influence on fashion here in the Philippines. -- I posted this on Simply Rins Facebook Page after watching the show.